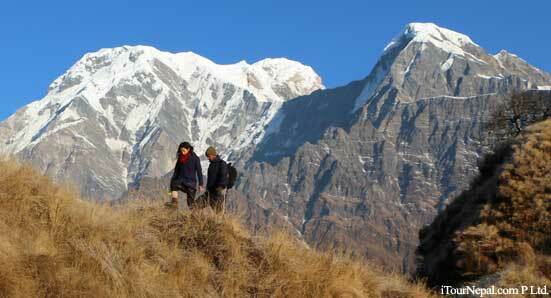 Pikey peak trek is the closest alternate to trekking in crowded Everest trail. This is newly introduced and less discovered trekking in Everest region which offers best of Sherpa culture and the Himalayan scenery. 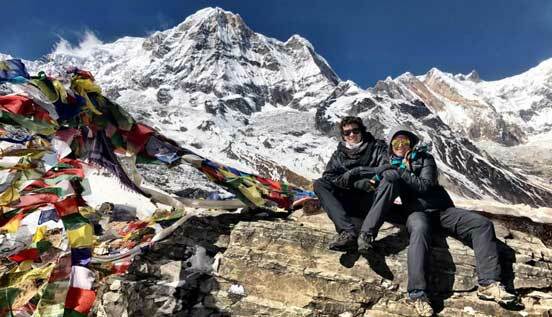 While the trek offers magnificent view of most sought after peaks of Everest, Kanchanjunga and Makalu, the trail passes through authentic Sherpa villages and monasteries following the beaten trail. Many earlier mountaineers and explorers including ‘Sir Edmund Hilary’ have agreed that the view of Mt Everest from Pikey peak is their favorite. One thing is sure that the 4,067 m peak in the lower Everest region is definitely the best view point to look into Mt Everest and other peaks east of Kathmandu. Moreover the region is easy to access and provide flexible itinerary with option of driving or flying to the trekking trail head. 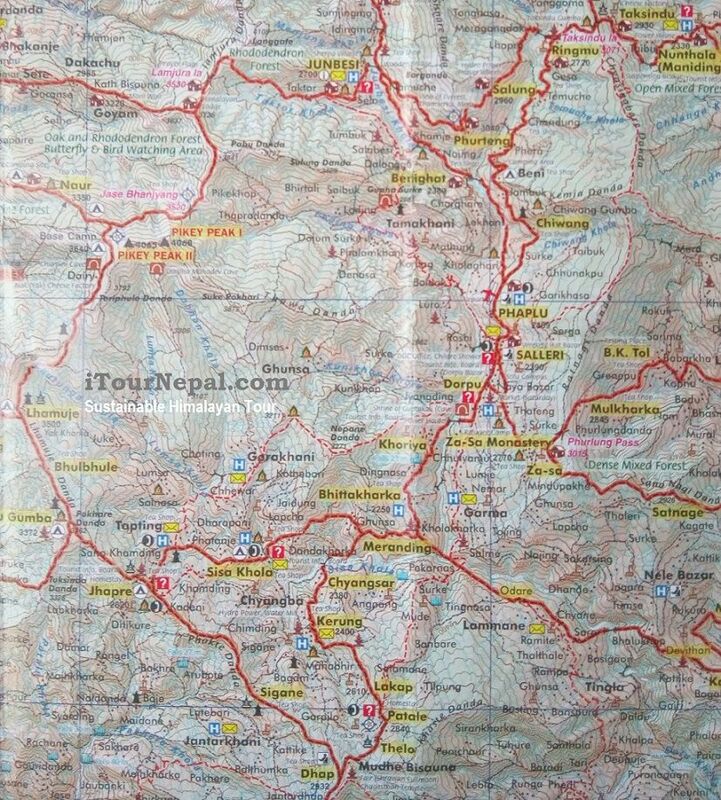 The trek starts with scenic drive of flight east of Kathmandu. The rolling hills with cascading waterfalls, terraces and pristine village in the foreground of snow peaks make the journey awe-inspiring. Once we start walking, authentic Buddhist villages marked by prayers flag and Mane walls greets us. Rustic monasteries and authentic Sherpa villages we pass by, are long gone in popular Everest trail. Walk through the Rhododendron forest and come to the high pastures with far reaching view. Grade : Moderate - Each day walking is about 5 - 6 hrs with trail climbing up and down in the Himalayan foothills. Maximum altitude is only 4,067 m.
Note: Could be custom made for 3 days or longer with trek to Tengboche Monastery and Everest base camp. 3 nights accommodation in Kathmandu with breakfast and taxes included in 3 star standard hotel. Private 4WD to the trekking trail head. 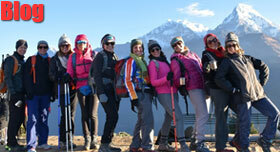 Trekking with licensed and experienced guide and porter. Our represent will pick you up from the Kathmandu airport as per the flight information given. Drive to the hotel. Familiarization walk and trek briefing. Preparation and packing for the trek. On the day, we will leave Kathmandu early in the morning and drive on the newly inaugurated B. P. highway to little town of Ghurmi in the Koshi River basin. From Ghurmi, the road leads to the higher elevation passing through Rhododendron forest to Dhap Bazaar. Spend the night in a guest house and explore the town. Enjoy the morning view of the Himalayas and start a day’s trek to Pikey peak base camp. The trail climbs through the Rhododendron forest coming to Yak pasture. Cross the long Mane wall and climb further to Pikey peak base camp. Visit Yak Cheese factory and enjoy the splendid view of snow peaks. On the day, we will reach the highest point of our trek. 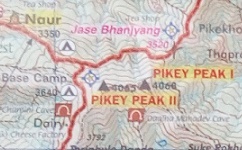 Climb along the rocky ridge to the Pikey peak (4,065 m). The top unveils wide range of the snow peaks from Dhaulagiri in the west till Kanchanjunga in the west. View of Mt Everest, Thamsherku, Numbur Himal, Kangtega is the highlight. From the apex climb down to Lamjura pass and further to Junbesi. 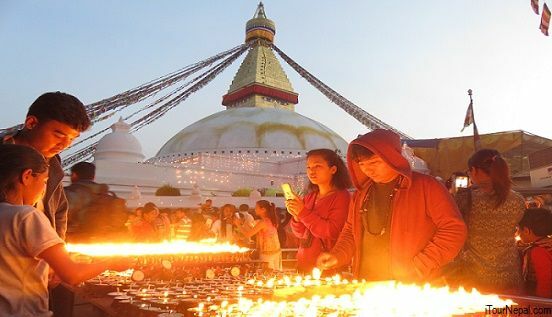 The days walk is one of the best with alpine landscape, Himalayan view and walk the Buddhist landmarks of Mane walls and Stupas. Visit the local monastery at Junbesi. 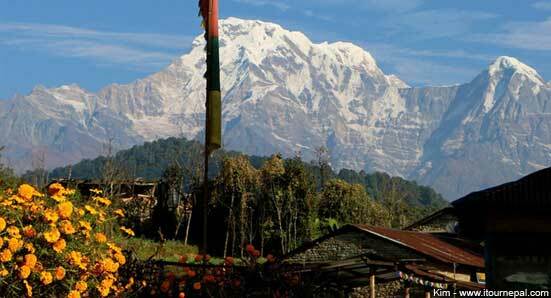 Enjoy the view of Numbur Himal in the morning. Later in a day, go on a side trip hike toThupten Chholing Gompa. The trail ascends following the Junbesi River. The walk is an opportunity to explore pristine Sherpaland and gives dipper insight of the region. The trail from Junbesi descends down the Junbesi River and crosses the suspension bridge to the town of Benighat at the confluence. The day’s walking is scenic and continue unveiling new vista and an opportunity of cultural immersion. The 35 mints flight back from Phaplu is scenic thrill. Enjoy the arial veiw of the snow peaks. Check in hotel and we will keep the day free for the flight delays, do the laundry or just to relax. We will keep this day in case the flight get cancalled because of weather. If everything worked as planned, you can use this day to explore Kathmandu. Together with 7 groups of medieval palaces and temples, Kathmandu is enlisted as UNESCO Heritage site. Day 10: Drive to the airprot for final departure. 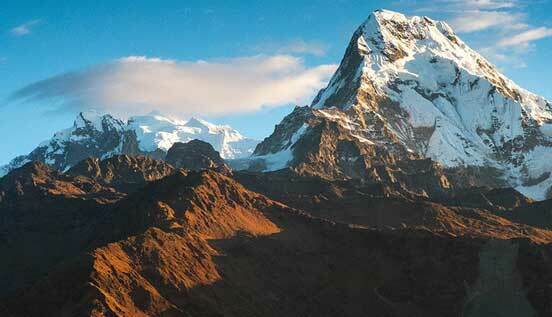 Highlights : Newly open short trek route in Annapurna. Relatively easy trek with optional challange of going to 4,500 m Mardi Himal Base camp. 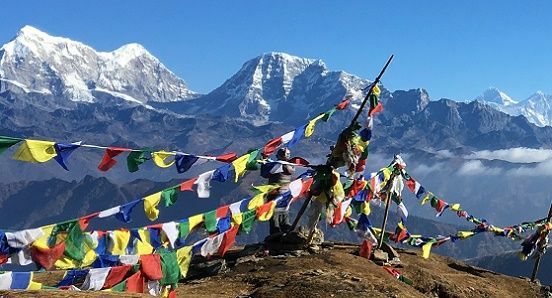 Highlights : Pristine trek off the crowd of main trail that allows you to trek to Khair Lake at 4,500 m with great view of Annapurna and Dhaulagiri. Chitwan National Park, where last numbers of Tigers and Rhinos thrive.